Billy Stobie supplied the weapons used in the murder. However he was also an RUC Special Branch agent. He would later reveal that he had informed his Special Branch handlers of an imminent attack on two separate occasions before Mr Finucane was murdered, one just hours before the shooting. Within hours of the killing he tipped off Special Branch that the murder weapon was about to be moved by one of the killers. Despite the warning no effort was made to apprehend the killer or recover the weapon. Stobie later told a journalist that despite the UDA having carried out the attack, he believed that Special Branch were ultimately responsible for Mr Finucane’s murder. The publication of today’s report come’s on the 11th anniversary of the murder of Billy Stobie. He was shot dead by the UDA outside his Forthriver home in north Belfast weeks after backing calls for a public inquiry to investigate security force collusion in the murder of Pat Finucane. Judge Cory found that Special Branch repeatedly failed to warn nationalists that they were being targeted by loyalist paramilitaries. “Some of the documents I have reviewed seem to reveal an unfortunate attitude that was shared by some members of RUC Special Branch in 1988 and 1989,” he said. “This attitude may well have influenced the actions of the unit, and the way it approached its police duties. Special Branch operated separate `threat’ and `intelligence’ books to monitor potential paramilitary attacks and information obtained from its agents within the organisations. However Judge Cory found evidence that Special Branch warned people that they were being targeted by republicans but in stark contrast failed to warn nationalists that they were being targeted by the UDA. “It appears that SB perceived threats made by republican terrorist organizations to be more dangerous and deserving of attention than those made by loyalist terrorist groups. “Items recorded in the intelligence and threats books were predominantly concerned with threats issued by PIRA and other republican organisations. “These threats were often acted upon and warnings issued to those who were targeted, even when the information was relatively vague. 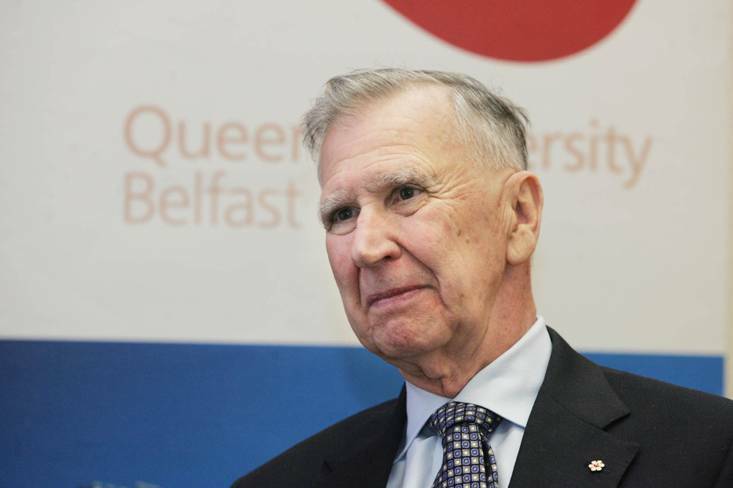 “By way of contrast, there was a scarcity of references to UDA/UFF targeting in these books, although the information flowed in on a regular basis from Nelson and other agents, including SB agents. “On those rare occasions that UDA threats were recorded, they did not generally result in any preventative measures. “The one exception occurred in 1990 when a Catholic taxi driver was warned of a pending UDA assassination attempt. “Generally, however, UDA threats appear to have been ignored. “This discrepancy in the treatment of PIRA and UDA targets may be indicative of a selective, perhaps subconscious, bias on the part of the Special Branch. Mr Hogg would later state that he had been briefed by senior RUC officers, including then chief constable Jack Hermon. The Tory MP said he was informed by RUC chiefs that six solicitors were “effectively in the pockets of terrorists” and were “defending the organisation rather than the individual”. When he asked for a concrete example Special Branch sent him documents identifying Mr Finucane. Britain’s most senior policeman John Stevens spent 15 years investigating allegations of security force collusion in the murder of Pat Finucane. In April 2003 Stevens finally confirmed security force collusion in the killing. Despite this, no member of the security forces has ever been brought to justice for their part in the murder. Indeed only a small section of Stevens’ inquiries has ever been made public. However part of the Stevens III report has now been made public as a result of a Freedom of Information (FoI) request by RTE journalist Richard Dowling. “By any standards the RUC’s investigation of these two murders was inadequate…. the policy book for major crime investigations should record all decisions relating to the direction and control of the enquiry…. 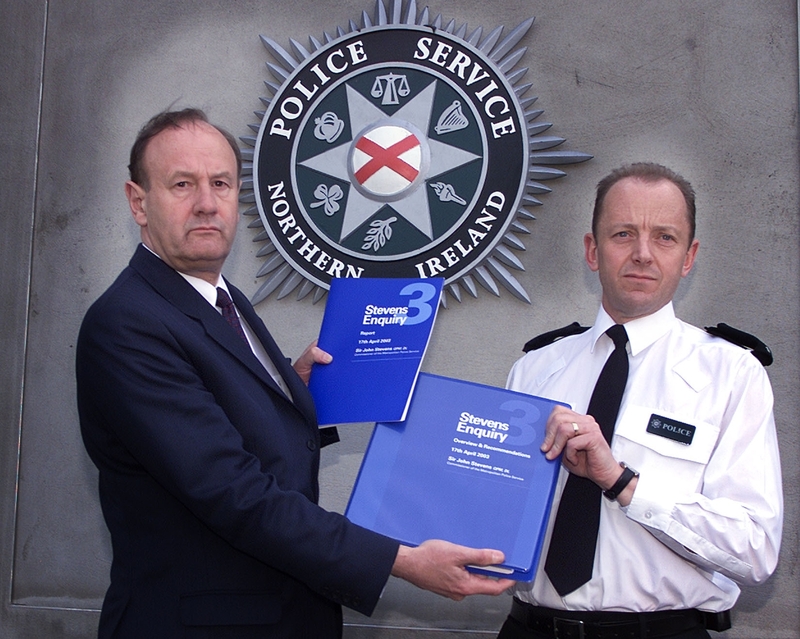 in the case of the murder of Patrick Finucane this policy book cannot be found. “Exhibit handling was poor overall. Vital evidence could not be retrieved because audit trails did not exist to keep track of crucial murder exhibits. Despite the absence of any formal exhibits books or register, the initial handling of exhibits by the original murder team appears to have been satisfactory. Once the team was scaled down and officers moved onto other enquires, problems emerged associated with the lack of a formal process for closing down enquiries. There was no system to ensure that the case papers and exhibits were retained. In 2001 this reporter (Barry McCaffrey) revealed how the Browning pistol used in the Finucane murder had been taken from forensic science headquarters at Seapark in Carrickfergus and handed back to the British army, despite being a crucial piece of evidence in an ongoing murder. The forensic history of the weapon was subsequently destroyed by the army by replacing the barrel and the slide of the weapon. Confirming that someone in authority had made a deliberate decision to destroy the most vital piece of evidence in the Finucane killing, Stevens said: “This was not a case of administrative oversight or even some loss occasioned by a lack of care. Finger marks found at the murder scene were not properly compared against outstanding marks and suspects. What stopped a public inquiry into Finucane murder?